Heading into game six of the 2014 World Series, I was fairly confident that my prediction of the Giants winning it all in six games was nearly a sure bet. Coming off of a strong, shutout start by Madison Bumgarner in game five to take a 3-2 series lead, I figured the Giants would have the momentum to take the championship in the first game back in Kansas City. But I was wrong — very wrong. 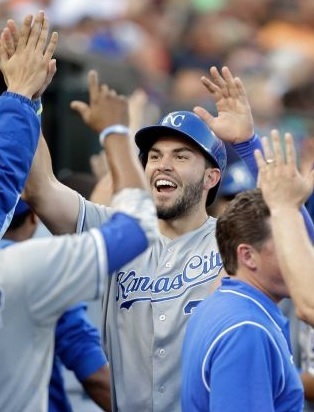 Game six turned out to be a blowout by the Royals, as by the second inning the game was basically over. Jake Peavy, the starting pitcher for the Giants, allowed five hits in the inning, including an RBI-double to Mike Moustakas and an RBI-single to Nori Aoki before he was removed from the game for the recently unhittable Yusmeiro Petit. But even Petit isn’t perfect, as he allowed a two-run single to the first batter he faced, Lorenzo Cain, followed by a two-run double to Eric Hosmer and a Billy Butler RBI-double. When the dust finally settled, the Royals had scored seven runs in the inning, and every Royals’ starter, with the exception of Omar Infante (he would get a single in the next inning), had at least one hit. 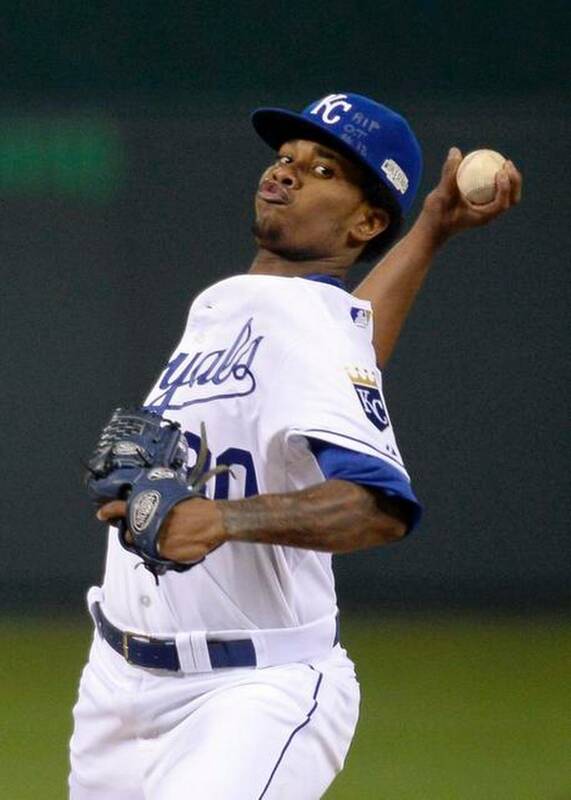 Royals’ starter, Yordano Ventura, fared much better than the pitchers on the Giants’ side of the game. Going seven innings and giving up only three hits while allowing zero runs to a good Giants’ lineup, Ventura was simply remarkable. Leaving the game with a 9-0 lead over the Royals, it’s evident that the Royals have a potential superstar on their hands for years to come. Up nine runs going into the bottom of the seventh inning, Mike Moustakas took the score to an even 10-0, blasting a solo shot to right field. Coming off of Giants’ reliever, Hunter Strickland — the sixth home run allowed by Strickland in the postseason, a playoff record — Moustakas provided the first home run of the series since game two of the Fall Classic, and would be the final run scored of the game, which became the fifth game out of the series decided by five or more runs. Taking game six with ease, the Royals forced a World Series game seven for the first time since 2011 — just the 37th World Series game seven in history. With the home team having won the Fall Classic in the past nine game sevens dating back to 1982, including the Royals’ last World Series win in 1985, you had to wonder if history would come through for the Royals or if the Giants terrific elimination game record would prevail. With game seven of the World Series being a win or go home game for both teams, both starting pitchers — Tim Hudson for the Giants and Jeremy Guthrie for the Royals, who was fantastic in his last outing — were subsequently on very short leashes. (Meaning, should they struggle early they wouldn’t be allowed to continue for very long.) However, both looked fairly sharp to begin the game, posting a scoreless first inning. But the second inning brought problems for both pitchers. Guthrie gave up a couple of runs via two sacrifice flies that scored the given runner from third, but, surprisingly, he was allowed to continue. Hudson, though, after allowing a couple runs of his own, was replaced after just 1.2 innings pitched — the shortest game seven outing of a World Series game since 1960. Guthrie pitched a good third inning but allowed a leadoff single to Pablo Sandoval in the fourth (Sandoval went 3-3 on the night, bringing his hit total for this World Series up to a staggering 12), followed by a Hunter Pence single and a flyout that allowed Sandoval to advance to third. Showing signs of struggle, Guthrie was quickly replaced by Kelvin Herrera who immediately gave up a single to Michael Morse, scoring Sandoval from third, and giving the Giants a 3-2 lead. Neither team would find a way to put anything together after that. On just two days rest, Madison Bumgarner, who threw a complete game shutout in game five, came on in the bottom of the fifth — his first relief appearance since the 2010 National League Championship Series. 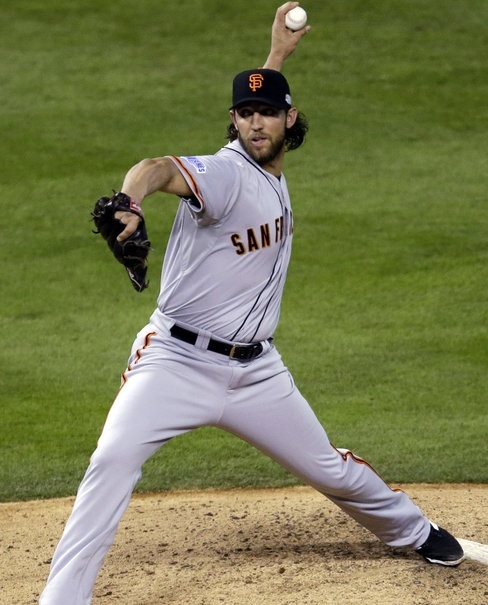 It was originally thought that if Bumgarner was brought on in relief, it would be for a couple of innings. But Bumgarner was so dominant that he remained in through the final out of the game, surpassing the old MLB postseason record of 48.2 innings pitched and lowering his World Series career ERA down to a measly 0.25. While the Royals threw out their heart of the order in the bottom of the ninth, with Alex Gordon technically singling but winding up at third on a couple of outfield bobbling errors, they didn’t have a comeback in them. Salvador Perez, although he put up a battle against Bumgarner, stranded Gordon at third, popping out to third baseman Pablo Sandoval, and securing the Giants the 2014 World Series Championship. The third World Series title for the San Francisco Giants in the past five year, and their eighth overall in franchise history, the Giants were fairly impressive over the course of the seven games it took to decide a winner, despite outscoring the Royals overall just 30-27. But they would be nowhere without their dominant lefty, Madison Bumgarner, who received the Most Valuable Player award for his dominant pitching during the Fall Classic. With game seven now decided, thus concludes another exciting Major League Baseball season. But hang in there. There are only 158 days until Opening Day 2015. As I wrote in my last blog post, there was a chance coming into San Francisco that either the Giants or the Royals could win the World Series, should they be able to sweep the other team in the three games. But thanks to a sole win by the Royals, the series is forced back to Kansas City with the Giants up three games to two. But a lot took place to get to this point. After a couple of blowout games in game one and game two of the World Series, game three was a lot more competitive. 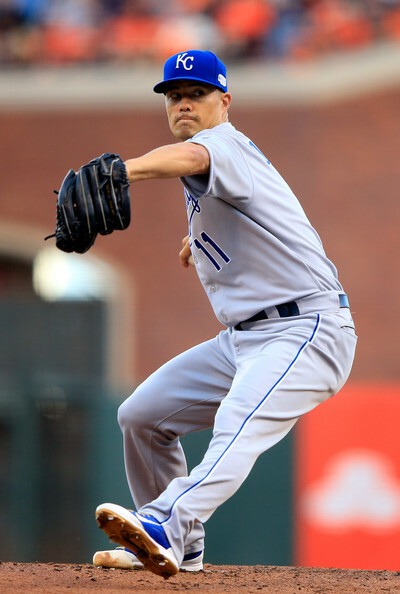 Jeremy Guthrie received the start for the Royals, and despite the fact that he hasn’t been overly dominant this season, he was terrific in this game. His opposition, Tim Hudson, was fantastic as well, as although he allowed a run in the very first inning via a Lorenzo Cain RBI-groundout, Hudson settled down and posted zeroes for the following four innings. When the sixth inning arrived, both teams found their strokes, with the Royals and Giants each scoring a couple of runs off of a few timely hits in their respective half inning to take the score up to 3-2 in favor of the Royals. With their bullpen set to go for the rest of the game, the Royals were able to hang onto that one run lead, with Greg Holland closing out the game. 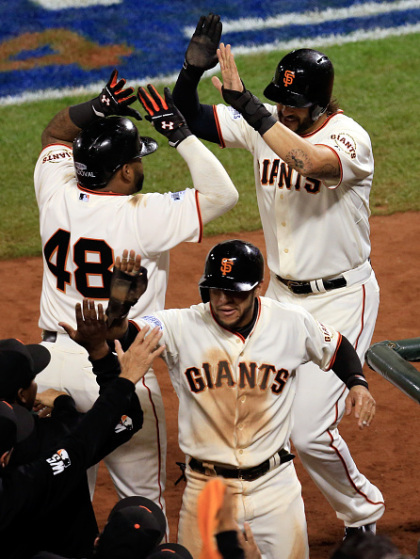 Up two games to one heading into game four, the Giants would now have to win at least one of the two games remaining in San Francisco to keep their chances alive and send the Fall Classic back to Kauffman Stadium. Game four began the way the Giants envisioned, with them scoring a run in the bottom of the first off of the Royals’ starter, Jason Vargas. But the Royals would answer back in a huge way in the top of the third, when a 30-minute inning saw four runs posted by Kansas City. Although the Giants scored a run of their own in the bottom half of the inning, the overall momentum of the game seemed to be on the Royals’ side. However, the momentum shifted in the fifth inning, when the Giants scored a couple of runs to tie the game at four runs apiece on a Hunter Pence RBI-single. From there, they would never look back. Scoring three runs in the bottom of the sixth and another four runs in the bottom of the seventh — nine total runs over the course of three innings — the Giants quickly put the game out of reach for the Royals. Both the Giants and Royals would post zeroes for the remainder of the game, ending with a decisive 11-4 win for the Giants. Now that the series was tied at two games per team, there was guaranteed to be at least one game back in Kansas City. But with the winner of game five moving to within just one win of a World Series title, with two chances to secure that win, you knew Sunday’s game was going to be a close, extremely important matchup. 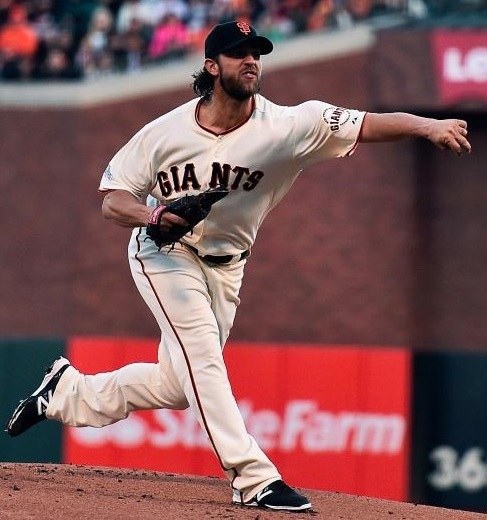 A rematch of game one’s starters — James Shields for the Royals and Madison Bumgarner for the Giants — everyone expected Shields to rebound from the poor outing he had in game one, and looked to Bumgarner to see if he could continue his postseason masterfulness. Both turned out to be great. Allowing just two runs in his outing, Shields put the Royals in a good position to win the game. 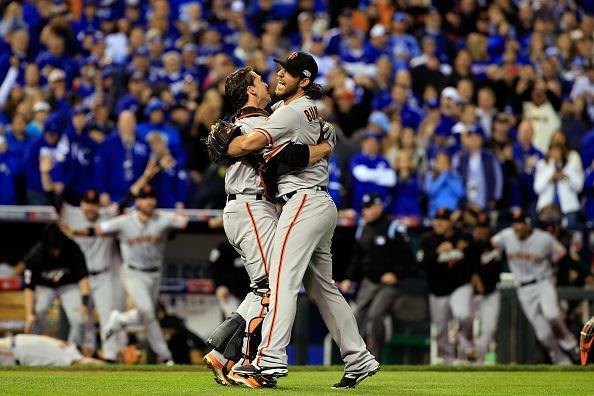 However, Bumgarner had other plans. Giving the Giants nine solid innings, Bumgarner threw a complete game shutout against the Royals, lowering his career World Series ERA down to 0.29 — the lowest in MLB history. Although the two runs the Giants posted early in the game (one in the second and one in the fourth) would’ve been enough for the victory, they were able to put another three runs on the board in the eighth inning for good measure, securing the 5-0 victory. With not a single home run being hit over the course of the trio of games in San Francisco, this becomes the first world series since 1948 to have three straight games without a dinger. With 25 total runs being scored over the three game set at AT&T park, that’s truly hard to believe. The Giants and Royals travel back to Kansas City following game five, where they will pick up with game six on Tuesday night. With the Giants just one win away from their third World Title in five seasons, it will be interesting to see how each team plays, knowing game six could be it. The way this World Series has been going, almost anything can happen. Returning to their electric home ballpark, I wouldn’t be too surprised if the Royals pulled out a game six win to send the World Series to a seventh game. But with the Giants firing on all cylinders as of late, things look promising for my prediction of the Giants winning the World Series in six games coming true. On a brief, unrelated side note, tragedy struck baseball on Sunday evening. Cardinals’ up-and-coming mega prospect, Oscar Taveras, was killed, along with his girlfriend, in a car accident down in the Dominican Republic on Sunday. Although his passing has nothing to do with the World Series, I wanted to take a minute to talk about Taveras. I first heard of Oscar Taveras back in 2011, when he hit .386 over the course of 308 minor league at-bats. 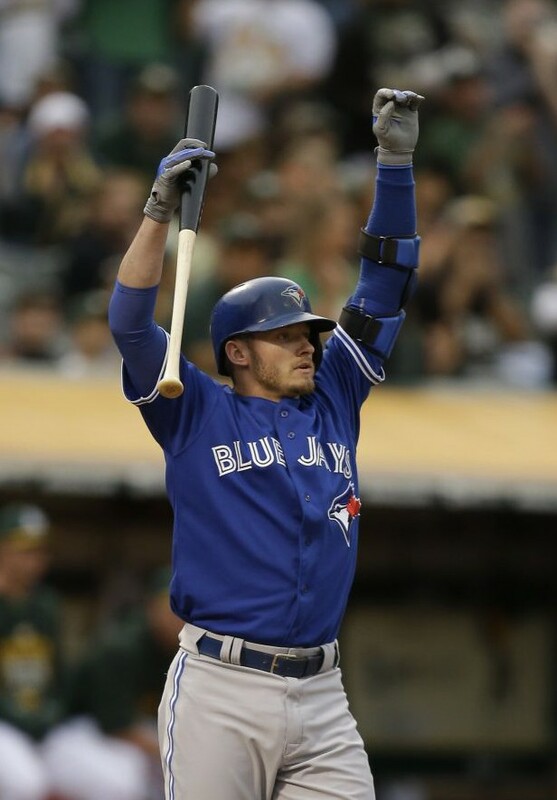 As I began to follow his career more closely, I quickly realized why he was held in such high regard, as he had a career season the following year, hitting .321 with 23 home runs and 94 RBI’s in 2012. Battling injuries in 2013, Taveras finally got things going again in 2014, making his Major League debut in May of this season. Living up to the hype, Teveras hit a home run in his very first game in the majors. But unfortunately, that was one of three home runs Taveras will ever have for his career. Along with millions of others, I was filled with excitement back in May when Oscar Taveras made his MLB debut. 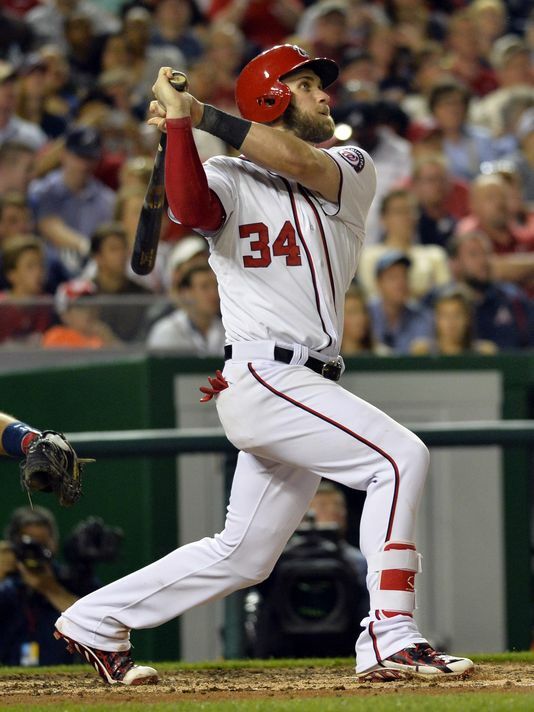 I was filled with amazement when he hit a pinch hit home run in the National League Championship Series. And now, following the tragic death of the 22-year-old star, I’m filled with sadness. Gone too soon — Oscar Taveras will be missed. Talent like his doesn’t come along very often.